To comply with the Smoke-Free Campus Act, 110 ILCS 64/1-99; to provide a healthy environment that promotes the health, well-being, and safety of students, faculty, staff, and visitors at the University of Illinois at Urbana-Champaign by minimizing the negative effects of secondhand smoke; to improve fire safety; and to encourage a more sustainable environment. This policy applies to any individual on Campus Property, including but not limited to students, faculty, staff, other employees, contractors, subcontractors, volunteers, visitors and members of the public, and is applicable twenty-four (24) hours a day, seven (7) days a week. Smoke-Free Campus Act, 110 ILCS 64/1-99. Pursuant to the University of Illinois Statutes and the General Rules Concerning University Organization and Procedure, the Chancellor is the chief executive officer for the campus and has the responsibility for the safety of personnel and property on the campus. This policy also supports and furthers the goals of the Smoke Free Illinois Act, 410 ILCS 82/1 – 90, and the Litter Control Act, 415 ILCS 105/1 – 14. As of January 1, 2014, smoking is prohibited on all campus property, both indoors and outdoors, and in university-owned vehicles and in privately-owned vehicles parked on campus property. The advertising, sale, or free sampling of tobacco products is also prohibited on campus property. Littering the remains of tobacco products or any other related waste product on campus property is further prohibited. No individual or campus unit subject to this policy may discriminate or retaliate against any person who makes a complaint of a violation of this policy or provides information concerning a violation of this policy. The carrying, smoking, burning, inhaling, or exhaling of any kind of lighted pipe, cigar, cigarette, cigarillos, hookah, beedies, kreteks, weed, herbs, electronic cigarettes, water pipes, bongs, marijuana or other lighted smoking equipment; and includes products containing or delivering nicotine intended or expected for human consumption, or any part of such a product that is not a tobacco product as defined by Section 321(rr) of Title 21 of the United States Code, unless it has been approved or otherwise certified for legal sale by the United States Food and Drug Administration for tobacco use cessation or other medical purposes and is being marketed and sold solely for that approved purpose. “Smoke” or “Smoking” does not include smoking that is associated with a native recognized religious ceremony, ritual, or activity by American Indians that is in accordance with the federal American Indian Religious Freedom Act, Sections 1996 and 1996a of Title 42 of the United States Code. 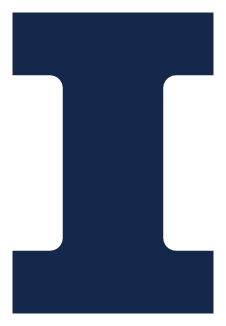 Any property owned, leased, occupied, operated or otherwise controlled by the University of Illinois, including but not limited to academic and auxiliary buildings, classrooms, laboratories, residences, residence halls, elevators, stairwells, restrooms, roofs, meeting rooms, hallways, lobbies and other common areas, hotel rooms and conference facilities, grounds, athletic complexes and facilities, exterior open spaces, shuttle buses, shuttle bus stops, university-owned parking garages and lots, driveways, loading docks, university-owned streets, sidewalks and walkways, and as set forth on the Smoke-Free Campus map. For purposes of this policy, “Campus Property” does not include enclosed campus laboratories, not open to the public, where the activity of smoking is exclusively conducted for the purpose of medical or scientific, health-related research, and the appropriate campus research oversight body has approved the inclusion of smoking in the program pursuant to the applicable procedures for such medical or scientific, health-related research program. The Smoke-Free Campus Map is available at www.campusrec.illinois.edu/Smoke-Free/docs/smokefreecampusmap.pdf. Products containing or delivering nicotine intended or expected for human consumption, or any part of such a product that is not a tobacco product as defined by Section 321(rr) of Title 21 of the United States Code, unless it has been approved or otherwise certified for legal sale by the United States Food and Drug Administration for tobacco use cessation or other medical purposes and is being marketed and sold solely for that approved purpose. The campus shall post notices bearing the message “Smoke-Free Campus” or the international “No Tobacco” symbol or similar signage at critical areas across the campus, such as at building entrances. However, this policy applies to all campus property whether or not such notices are posted. Organizers of and attendees at public events, such as conferences, meetings, public lectures, social events, cultural events, and sporting events, as well as non-university events held on campus property must abide by this policy. Organizers of such events are responsible for informing attendees of this policy. An individual may inform someone smoking on campus property of this policy and request that the smoker comply with the policy. To report non-compliant individuals, please call (217) 333-8911 to inform the University of Illinois Police Department. Individuals found to be noncompliant with this policy will be subject to a system of fines, sanctions, and an appeals process as set forth on the Smoke-Free Campus website at go.illinois.edu/smokefree. The only exceptions to this policy are those listed in the definitions above. Vice Chancellor for Student Affairs.